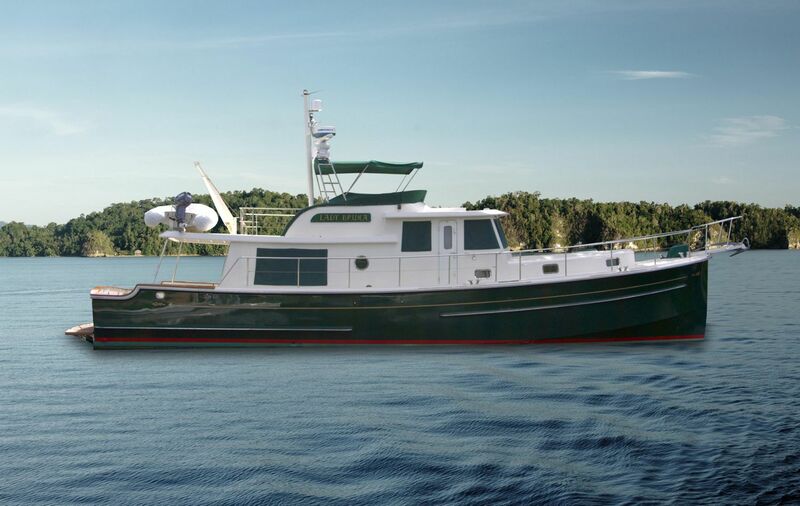 This ONE OWNER very successful design is being sold by a most fastidious owner who, after taking delivery in Florida, spent the entire first year of ownership creating a uniquely capable cruising vessel. With custom updates in almost every category of structural engineering, stainless components, plumbing, wiring, A/C systems, and access to maintenance items, LADY BRUNA now represents the finest 53 Krogen express to ever be offered for sale, period! The newly detailed Jade Mist Green Awlgrip hull, new tan nonskid decks, and fresh varnish will impress everyone who approaches the boat from the dock, and the interior details throughout the boat will just confirm what this offering represents....A one of a kind Krogen 53 Express that will exceed your expectations!